The past never stays buried at Bliss House...Rainey Bliss Adams' perfect life came to an end one spring afternoon, when her husband was killed in an explosion that horrifically burned their fourteen year-old daughter, Ariel. Desperate for a new start, she takes Ariel to live in the beautiful house in the foothills of the Blue Ridge Mountains where the Bliss family has lived for over a century. Once there, Ariel starts to mysteriously heal. But as a series of tragedies begins to unfold, it becomes clear that a darkness lurks behind the dignified facade of Bliss House - one which will drive both mother and daughter apart, as each is forced to confront its evil on her own...Richly Gothic, creeping and dark, Bliss House is a haunting tale of loss, love - and the secrets our houses can keep. 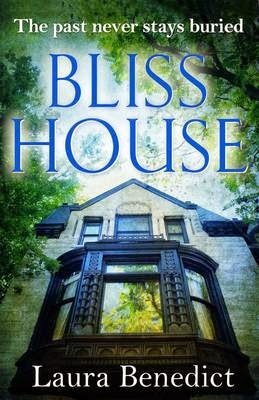 Bliss House is by Laura Benedict and is due to be published in January 2015. The purest kind of detective story involves a crime solved by observation and deduction, rather than luck, coincidence or confession. The supreme form of detection involves the explanation of an impossible crime, whether the sort of vanishing act that would make Houdini proud, a murder that leaves no visible trace, or the most unlikely villain imaginable. Virtually all of the great writers of detective fiction have produced masterpieces in this genre, including Agatha Christie, Edgar Allan Poe, Dorothy L. Sayers, Arthur Conan Doyle, Raymond Chandler, G.K. Chesterton, John Dickson Carr, Dashiell Hammett, Ngaio Marsh, and Stephen King. In this definitive collection, Edgar Award-winning editor Otto Penzler selects a multifarious mix from across the entire history of the locked room story, which should form the cornerstone of any crime reader's library. The Locked Room Mysteries is edited by Otto Penzler and is due to be published in January 2015.
special agent Carla Windermere witness the assassination of a local billionaire. The shooter flees the scene, but not before the pair see his face - and the blank expression in his eyes. Stevens and Windermere investigate and are led across the country, down dead ends and into long-forgotten cold cases, until they finally discover a chilling clue: a high tech murder-for-hire website. It's a break in the case but only the beginning. Who is the dead-eyed shooter? Who recruits the assassins? And who profits from the fee? It is a race against the clock, and the killer has his next target in sight... 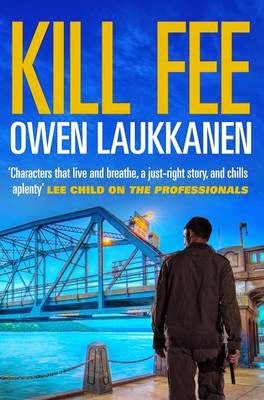 Kill Fee is by Owen Laukkanen and is due to be published in February 2015. Vespasian East to Armenia to defend Rome's interests. But there is more at stake than protecting a client kingdom. Rumours abound that Agrippina is involved in a plot to destabilise the East. Vespasian must find a way to serve two masters - Narcissus is determined to ruin Agrippina, Pallas to save her. Meanwhile, the East is in turmoil. A new Jewish cult is flourishing and its adherents refuse to swear loyalty to the Emperor. In Armenia, Vespasian is captured. Immured in the oldest city on earth, how can he escape? And is a Rome ruled by a woman who despises Vespasian any safer than a prison cell?" 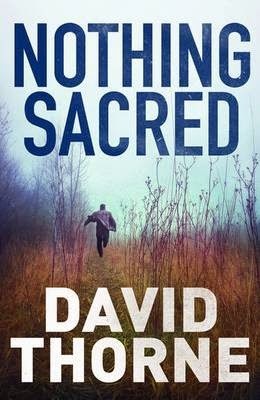 Nothing Sacred is by David Thorne and is due to be published in February 2015. A mother's nightmare: her children taken from her, unexplained injuries all over their bodies. Her only explanation: an evil visitation, the work of malevolent spirits. Desperate for answers, she turns to Daniel Connell, lawyer and old flame. But the truth he uncovers is more disturbing than they ever imagined. From the mountains of Afghanistan to the dark heart of Essex, Daniel finds himself in a terrifying world where monsters are real - and nothing is sacred. 2013: A bomb goes off in As Sulaymaniyah, Iraq. Veteran photojournalist John Hart and his beautiful Kurdish translator are caught in the blast – and the ensuing chaos. 1198: Johannes von Hartelius, ancestor of John Hart, discovers that the Copper Scroll, the most prized possession of the Knights Templar, has been stolen. The code-written scroll is said to hold the secret of Solomon’s Treasures. 2013: Hart finds a secret message from his forbear inside the Holy Spear. Is it possible that the mountain in Iran known as Solomon’s Prison holds the Copper Scroll? 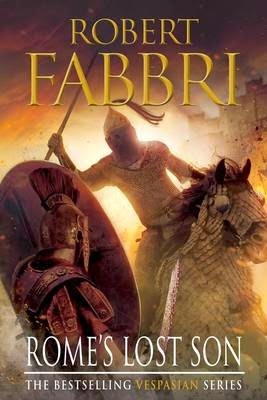 Hart seeks to find out, echoing Von Hartelius’s epic battle, nearly one thousand years earlier. The Templar Inheritance is by Mario Reading and is due to be published in April 2015. At a dive bar in San Francisco’s edgy Tenderloin district, Emily Rosario is drinking whiskey and looking for an escape. When a mysterious and wealthy Russian approaches her, she thinks she has found an exit from her drifter lifestyle and drug-addict boyfriend. A week later she finds herself drugged, disoriented and wanted for robbery. On the other side of town, cop Leo Elias is broke, alcoholic, and desperate. When he hears about an unsolved bank robbery, the stolen money proves too strong a temptation. Elias takes the case into his own hands, hoping to find the criminal and the money before anyone else. 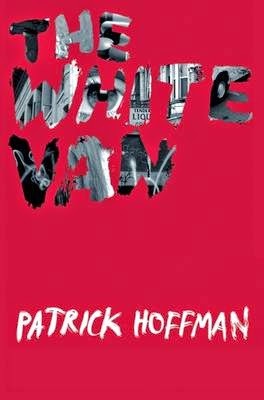 The White Van is the debut novel by Patrick Hoffman and is due to be published in January 2015.